RIB Gate is the new app of RIB that allows you to control one or more automatisms even non-RIB equipped with the APP+ electronic board. The APP+ card is a Bluetooth card that with the additional modules "clock", "Wi-Fi", "RJ45", "radio" allows the management of any RIB or non-RIB control panel. A simple electric lock can also be managed. Through Bluetooth or Internet connection, the user can open / close / stop the automation directly with his smartphone or tablet or Apple Watch or computer, knowing in real time the open / closed status wherever he is. 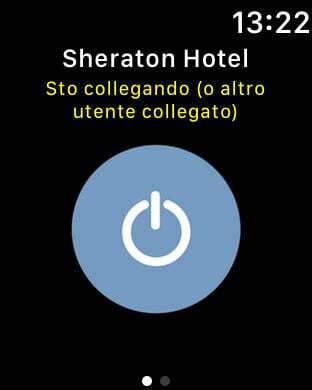 To open the gate you will no longer need to bring the remote control with you, just use the smartphone that we always have at hand or an Apple Watch! Wherever you are, it will be possible to control the gate allowing, for example, temporary access to the gardener who has to do maintenance on the lawn while on vacation. The radio module combined with the APP+ card allows the automation of the remote control as well as via smartphone. 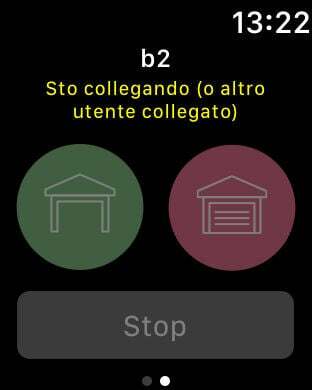 The clock module combined with the APP+ card allows the management of the automatism via remote control as well as via smartphone only at times and on days set by the Administrator / landlord. Thanks to the geolocation function it is possible to automatically open the desired automatisms, whenever you approach the smartphone within a distance you wish, set previously. This feature is extremely convenient because it allows you to find the gap already open upon arrival, setting the waiting time for access to zero. All bikers will appreciate it, especially during rainy days! Particular attention was also paid to the ease of sharing features with other users. Once the application has been installed and configured and the system is set up, it is possible to authorize other users to check automation, simply by sending them a text message with an authorization link. The operation ends in a few clicks and no new configuration of the technical parameters is required! In case of need, the Administrator / Landlord can instantly revoke the access permissions to each standard or temporary user through a simple click. For correct operation, the APP+ card with Wi-Fi module must be under cover of the home Wi-Fi network with Internet access. In case of necessity it is possible to use a range extender commonly available on the market. As an alternative, it is possible to equip the APP+ card with an RJ45 module for the wired connection to the internet router. When the APP+ card is equipped with a Wi-Fi or RJ45 module, it is possible for the installer to access the system remotely to perform remote assistance.